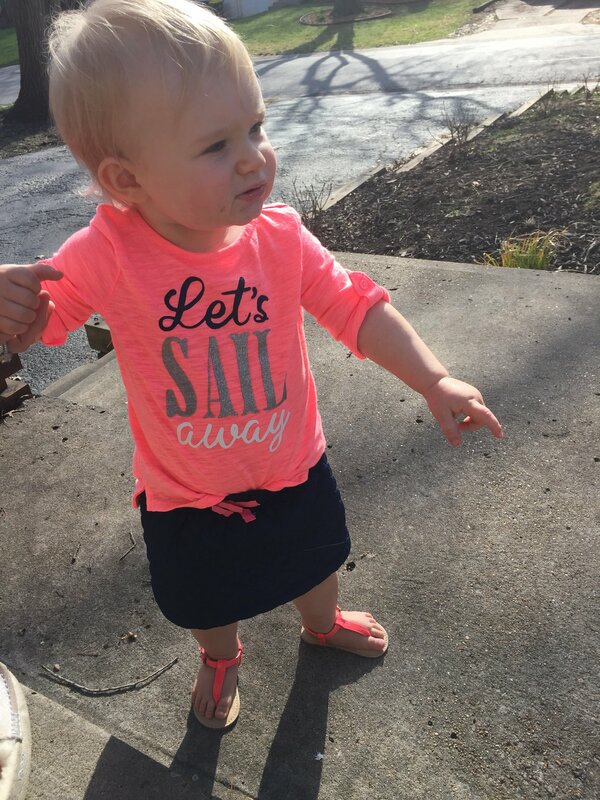 It’s so easy to fall into the trap of running morning errands in yoga pants and a quarter zip, especially when you have a toddler running around. But, I don’t think it takes much longer to throw on a well-fitting pair of jeans and cute top. 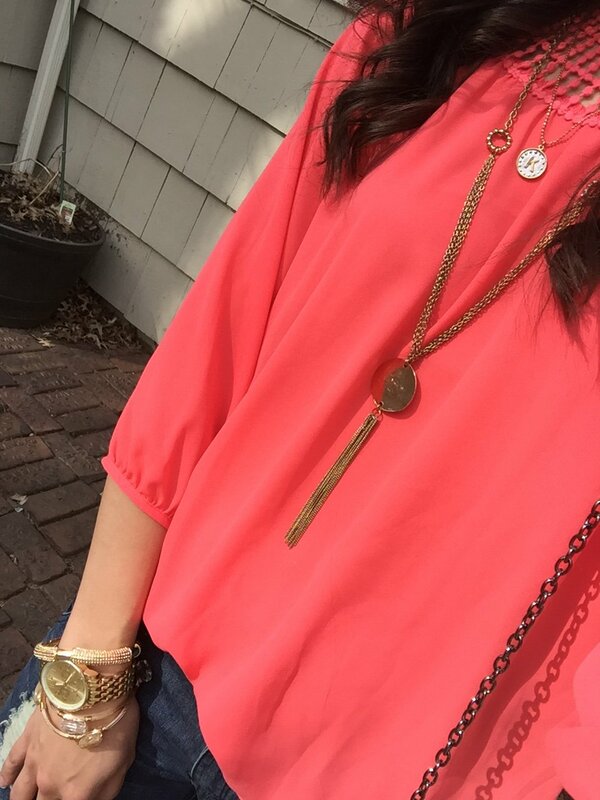 Coral is my a go-to for spring, summer or let’s be honest…I’ll wear it all year long! 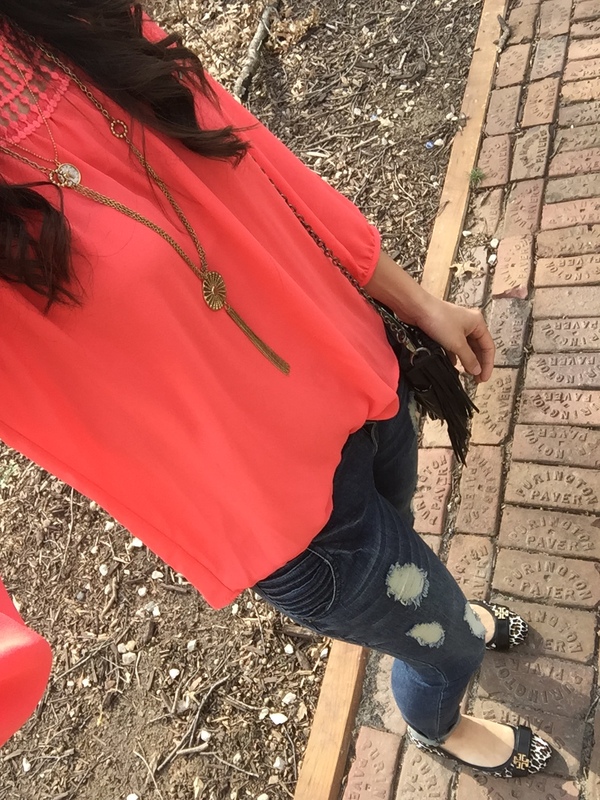 I love this ¾ length loose-flowy coral top. The knit detail around the neck makes it an easy top to dress up or down. 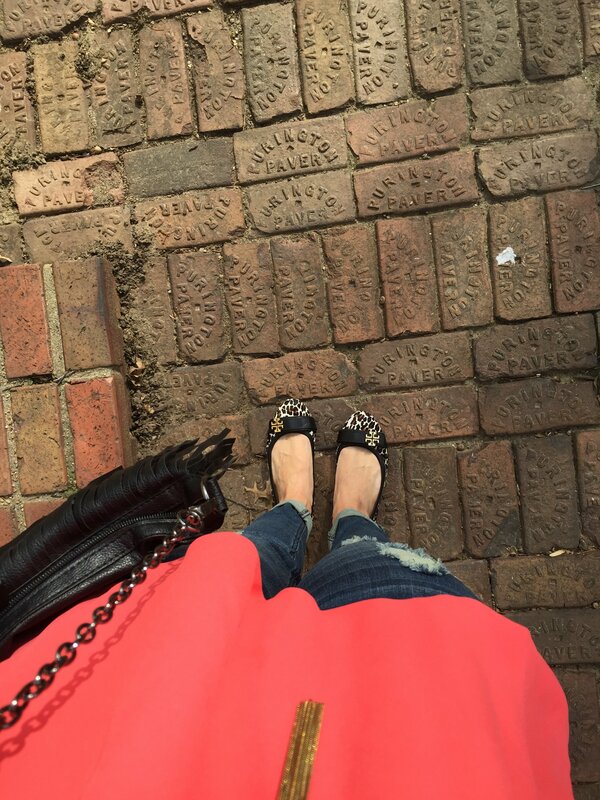 Aria and I were running around town, so I paired this top with distressed denim and leopard flats. I’m also slightly obsessed with the fringe trend so I put on a tassel necklace and carried a fringe bag.